The Terrain Awareness feature uses SRTM (or Shuttle Radar Topography Mission) data that has been specially formatted for use with Tag Pilot. In order to be able to access the terrain data with Tag Pilot, a valid Maps Made Easy Access Password must be entered in the settings. Think of an Access Password as a password that allows the app to download the data.  Once terrain data is downloaded for an area it is available for offline use in tagging and terrain adjusted flights. To get the Access Password you will need a Maps Made Easy account.  Once you are logged in to your Maps Made Easy account, go to https://www.mapsmadeeasy.com/profile on your mobile device and copy the value in the "Access Password for 3rd Party Applications" box so you can paste it into the Tag Pilot settings box labeled "Access Password". If the "Access Password for External Use" entry is blank on the Maps Made Easy page, push the "Request New Password" button to get one. If at any time you need to change your password to keep it secure you can push the "Request New Password" button again to get a new one. TL;DR - Don't fly up and over stuff because the return to home function wasn't really designed for these kinds of scenarios and there isn't anything Tag Pilot can do about it. Maximum Flight Height - DJI limits the height an aircraft can fly to 500 meters with respect to the takeoff point. Missing Data - 99.9999999% of the supported area is well covered. The data is MOSTLY fine. There are areas where the where the radar was unable to get a reading that have "voids". These empty data locations are in areas where the data has not been fully processed by NASA and are generally in areas of deep ground features or glaciers. In the presence of a "void", Tag Pilot will attempt to use the last known good elevation. This is the safest course of action since these voids usually occur in deep places the aircraft shouldn't be going to anyway. The voids are usually small and Tag Pilot attempts to overestimate the altitude.